Thirty-something Annie (Kristen Wiig) has hit a rough patch but finds her life turned completely upside down when she takes on the Maid of Honor role in her best friend Lillian's (Maya Rudolph) wedding. In way over her head but determined to succeed, Annie leads a hilarious hodgepodge of bridesmaids (Rose Byrne, Melissa McCarthy, Wendi McLendon-Covey and Ellie Kemper) on a wild ride down the road to the big event. 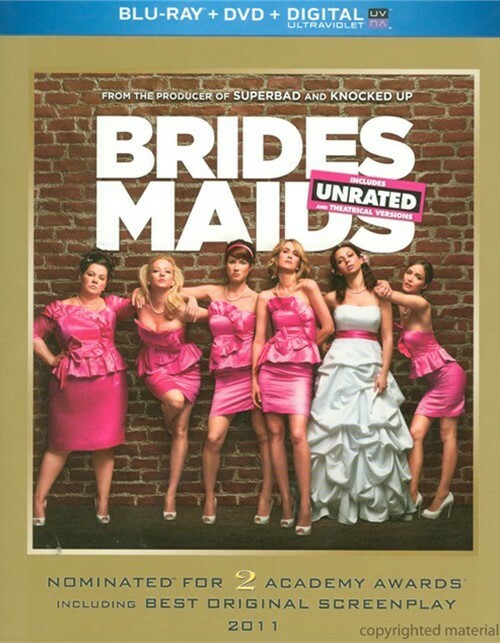 Review "Bridesmaids (Blu-ray + DVD + U"
Reviews for "Bridesmaids (Blu-ray + DVD + U"